Dr. Zhang, received her B.S. in chemistry from Shandong University in 1995. She studied organofluorine chemistry in Shanghai Institute of Organic Chemistry, CAS as a Master student. In 1998, she joined National Center for Drug Screening and worked on the setup of compound library by combinatorial chemistry and natural product purification. Dr. Zhang got her Ph.D. from Technical University of Munich, Germany in 2004. 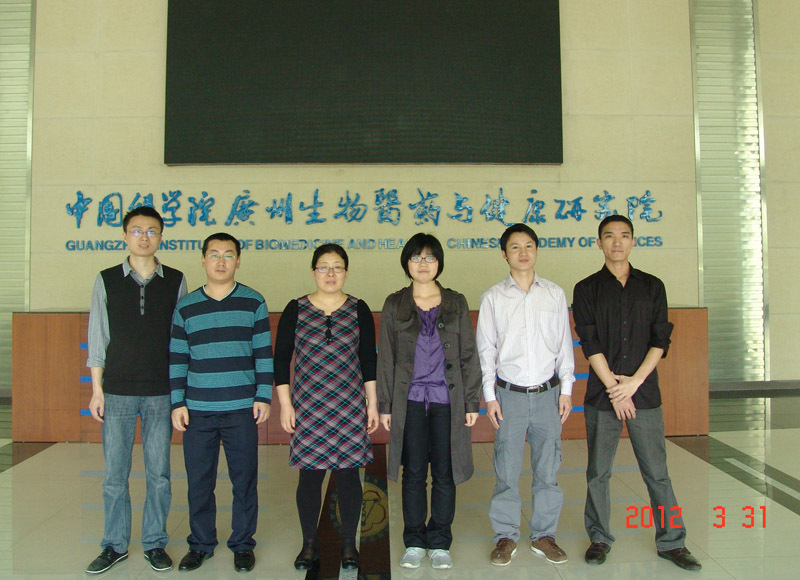 Her work focused on organic catalysis and methodology. After graduation, Dr. Zhang continued to study and work in UK and USA. Before joining GIBH, Dr. Zhang worked at the drug discovery center of UCSD Cancer Center with Prof. Dennis Carson on the design and synthesis of AdSS inhibitors and TLR7 antagonists and the formulation of correspondent active small molecules, especially in liposome form. In March 2011, Dr. Zhang joined GIBH and is responsible for design and synthesis of COX-2 inhibitors and setup of laboratory for dosage form and regulation of laboratory for drug analysis. Chemical Analysis provides the separation, identification, and quantification of the chemical components of natural and synthetic materials. Analytical methods can be separated into classical and instrumental classical methods (also known as wet chemistry methods) use separations such as precipitation, extraction, and distillation and qualitative analysis by color, odor, or melting point. Quantitative analysis is achieved by measurement of weight or volume. Instrumental methods use an apparatus to measure physical quantities of the analyte such as light absorption, fluorescence, or conductivity. The separation of materials is accomplished using chromatography or electrophoresis methods. The improvements in experimental design, chemometrics, and the creation of new measurement tools will provide better chemical information for the applications in drug discovery, bioanalysis, clinical analysis, environmental analysis, and materials analysis. Our Institutes has launched a chemical analysis laboratory to provide chemical analysis and chemical testing services to our institutes and to external customers. Chemical analysis provides expert analysis in all facets of Pharmaceuticals from raw materials, stability, related substances, impurities and active assays. All the modern equipment is operated and maintained by well-qualified personnel.